If you’re not already reading it, you should check out Peter Giuliano’s blog “Pax Coffea” on Tumblr. The former director of coffee for Counter Culture and current head of the SCAA’s Symposium has a unique angle on coffee, and a wealth of knowledge to share. In a recent post he gets to the bottom of something my American readers have probably already noticed – the bewildering proliferation of the “blackcurrant” flavor descriptor. If you grew up in the US, you’re probably not familiar with that taste – and yet it’s used all the time on coffee bags to describe what flavor you should expect from Kenyan coffee. Kenyan coffee is special for many reasons, but one thing in particular stands out. Coffee from Kenya- particularly coffee grown from the SL-28 cultivar- has a especially beautiful flavor almost never tasted in coffees from other countries. It’s a tangy, dark-fruit flavor, mouthwatering and compelling, memorable and unique. It’s a flavor that calls out for specific description, and that description is what this story is about. 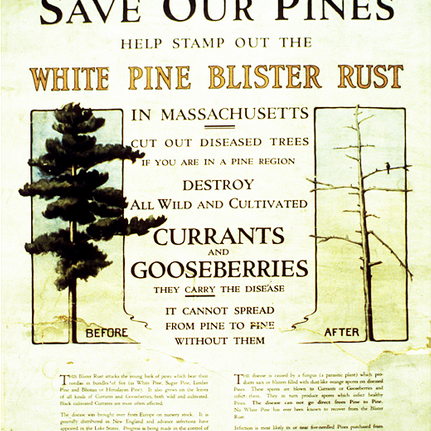 The story starts, however, with white pine. Head over to the post to learn the surprising history behind this semiotic confusion!